distance from the Wanchai MTR Station. 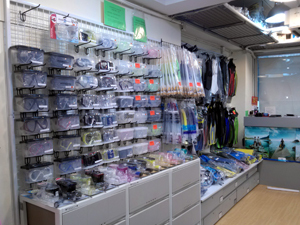 handling diving equipments, we can recommend customers to choose the right gears and are ready to answer questions on diving technology. 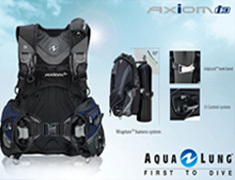 in custom made wetsuit, dry suit and swimming ware. We do maintenance, checking and repairs on diving equipments and air tank refill as well. 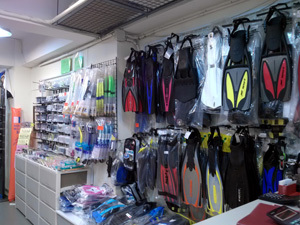 We rent diving equipments. 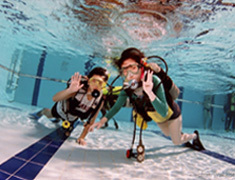 We operate all levels of diving classes.